which concentrate on the making society comfortable, convenient and friendly. Daito will make our dream by producing the safe and secure. 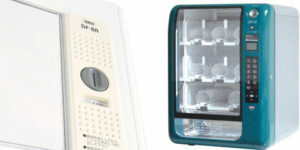 Amenities such as toothbrush, razor, soap and so on are comfortable hospitality for customers at accommodation facilities. Daito offers a variety of amenity products paid to the safety, high quality and functional beauty. We manufacture consistently at our domestic factory, conduct various inspections and strictly check the safety. That is why the reason that our products are being used in various places. We support your management with creative idea and technical capabilities quickly and accurately. Daito's money counting machine realizes the labor saving and security both. We propose original products according to customer's demands from planning to design and manufacture such as money counting machine, compact vending machine that reduces the work burden. Vending machines of manual type is long-selling products that are loved by companies and end users. We also support consultation of original vending machines. From manufacturing to producing original packaging, we oversee the whole operation at our own, domestically located factory.